Look at that belly! She's so adorable. Are she and Biff gettting along? I want to put my face in her belly! Yea - the scary "dead bunny" routine. Ooooooooooooo! 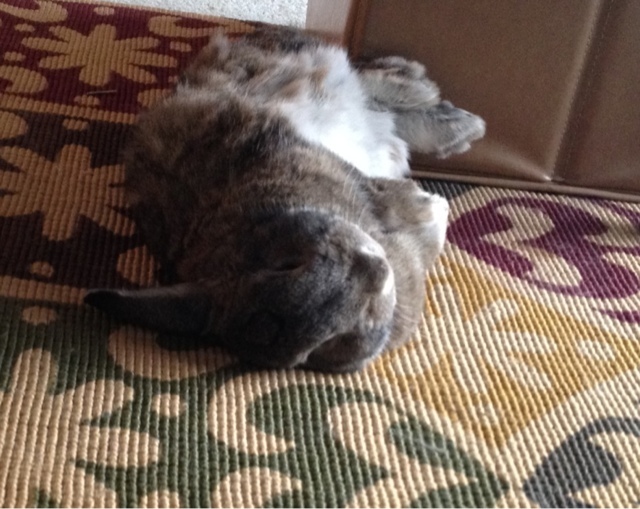 I want to snuggle that flop! I love it when they do that and then lick the floor! Adorable! How did I miss this?